Hey all! Just started lurking on the site today so thought I would just join up and ask some questions. I’m looking for a good powerful reliable cruiser. I don’t want just a couch. I want something to motor hard on and be comfortable. I’m looking at the roadliner/stratoliner, R* 1700, Star 1300, RSTD or even a Warrior. ? Most of my riding to date (on a Kawi ZRX1200) is on back roads/town (New England) and some highway. I want my cruiser to be able to be aggressive on the back roads but comfortable enough should I decide to do a long weekend trip. It seems like any of these bikes could fit the bill and I know I need to find some seat time to compare them. But I’m looking for some feedback on the reliability and people’s day to day experience with these steeds and what they really are capable of. Oh and my wife rides her own bike (Indian Scout) so most of my riding is one up. Thanks! The Roadstar (1600 or 1700) are very reliable. Basically keep oil in them and check a few things on a regular basis and you're good to go. They are also very capable and versatile. 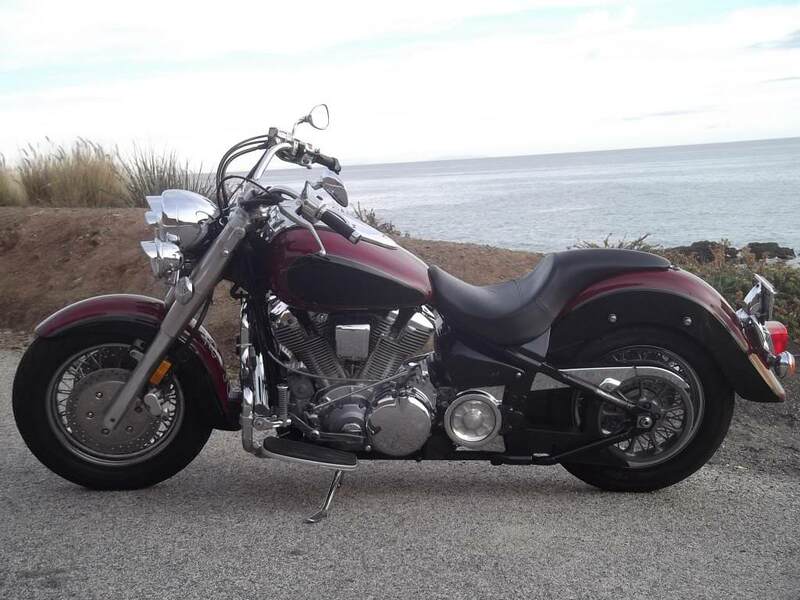 You can turn them into a bobber, a bagger or anything in between. Just remember that these are large bikes (mine is pushing 800 lbs) and don't do anything real fast. That's not to say that they won't barnstorm on the back roads. A group of us just spent a weekend in northwest Arkansas doing just that. What they do have in large quantities is torque and soul. My recommendation is to ride a few different bikes and find the one that makes your heart sing. Then find out all that you can about them to be aware of any pitfalls to correct or avoid them. No one here will berate you for selecting another brand or model. You're going to be the one in the saddle and have to be happy with it. Good luck. Needs suspension upgrades (lots of info/help right here on that). Roadstar is a pretty reliable bike. Vibrates a lot on higher highway speeds (80+). Not much power on the highway. Pretty ok when you wring it out at lower speeds. Not much ground clearance (suspension upgrades make this better though). Easy to work on. I appreciate the comments. Thanks! I should also say that a triumph Thunderbird and victory crossroads have crossed my mind. Ah, the search for the "perfect" bike! This is always an interesting process. It's such a subjective thing. . Try not to over think everything. It may boil down to what feels the best to you. It may be when you sit on one or drive one. My problem was I only had Honda's in the past (water cooled) and even though I loved everything I saw and heard about the roadstar, I allowed the air cool thing be MY hang-up. I made a big deal out of nothing. 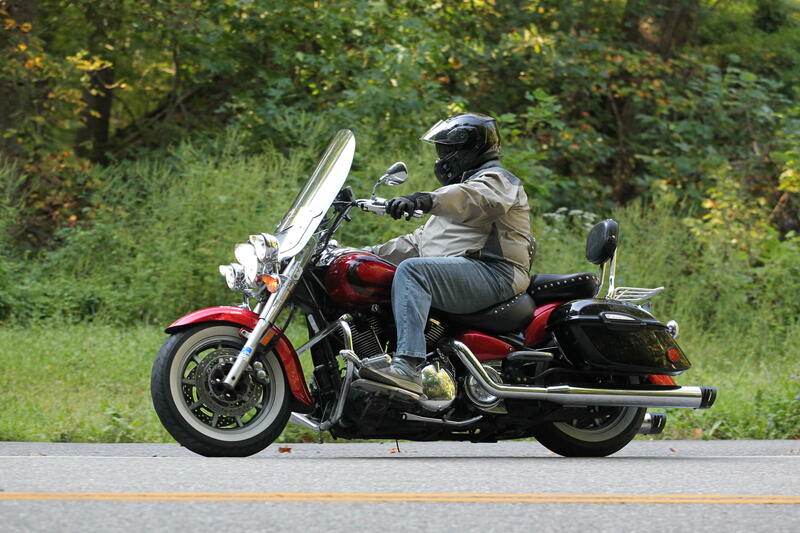 Plus, at the time I didn't consider the aftermarket availability for the roadstar, nor knew anything about this great and valuable community which has made a huge difference in enjoying my roadstar. One thing that's nice about what you will hear is that everyone here is honest and well rounded, many own other brands along with their roadstars. They won't only be PRO roadstar. Can ANY bike be a - be all, do all? 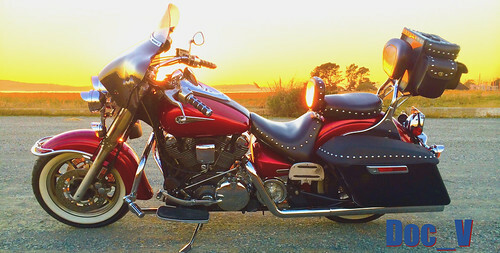 I love my roadstar for it's full spectrum of enjoyment. When I feel like a lazy easy going cruise this thing is nimble and lopping along like a thing of beauty. When I pull the throttle back and let the horses run, this beast responds effortlessly as if to say....bring it on! 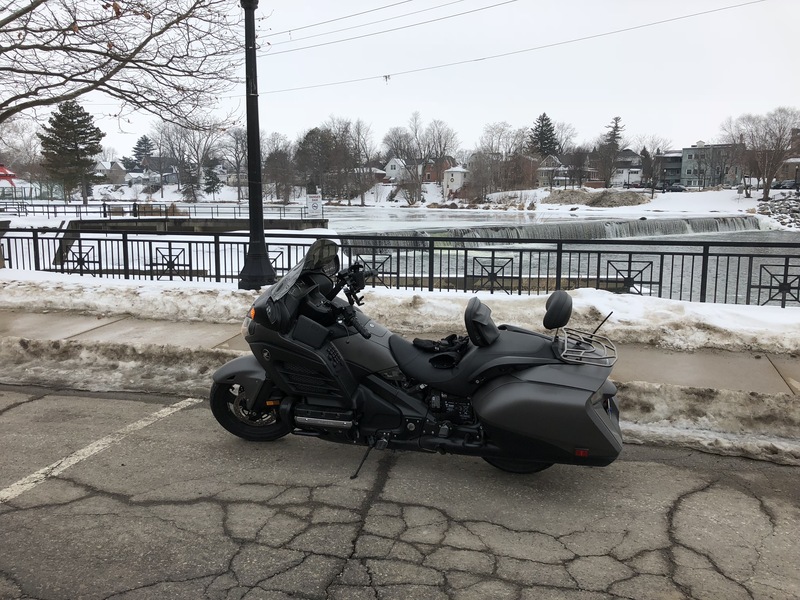 I do several multi state road trips I'd love to do trips like that on a street glide or Indian, I'm sure it's a greater experience, but I'm not complaining and not slowing down on this 100,000 mile roadstar. Pretty cool you're riding a 100k mile bike! Get a Raider! Or the new Venture or Eluder. Representing Scorpion Gulch, Arizona..From your description, the Roadstar is not for you. It's quite easy to drag the frame on either side, which could unload the rear tire and send you into an intimate relationship with the asphalt. $600-700 of suspension upgrades may help some ( that's if you do the work, if you have to pay someone to do it, double it) but, in actuality, it's a poser bike. It doesn't do anything great, but it does a lot of things good. A Roadstar Warrior may fill the bill better. One of the 'Liners may not be a bad choice either. But they will all be way down on power and much slower than your ZRX-1200. The only bike I can think of that has what you want is the new BMW K1600B. 160 horsepower from the factory, hope you got $20K or good credit if you want one of those. I would avoid anything Victory seeing as how they no longer exist. Yes ground clearance/lean angle was a concern I had with these big boys. Great input fellas! I’ll see what kind of seat time I can get. The Beamer is a great bike but I’m not looking to dish out 20k!! I know I’m not going to find a cruiser that rips and leans like my ZRX. I am just looking for a cruiser that I can ride “spiritedly “ when it’s time. What about the FJR? Not sure how far back that model goes since you're probably looking for a used one. That’s a nice looking ride D-Fresh. My zrx fills the Fjr needs. Looking for “lazy spirited” cruiser. If there is such a thing. Thanks Rexer! A friend of mine has the 1100 rex and likes it a lot. 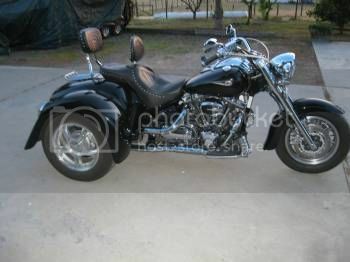 He keeps telling me he will let me ride it but it is currently out of commission... dang! BTW, the Eddie Lawson color scheme is definitely my favorite. from the Arklatex. Sounds to me like your looking for a high performance cruiser like a Ducati Diavel or Yamaha V-Max. My Roadstar is a nice diversion from my higher performance bikes. While it can be pushed surprisingly fast through twisties it has a big weight, lean clearance, suspension and horsepower disadvantage compared to more sporting motorcycles. from Alameda, CA. I came from sport bikes and inline fours and the power delivery and riding style of a big twin is much different, but once I learned to adapt, I can canyon carve with the best of them. The R* does start to show it's limits on the 60+ higher speed corners. As mentioned, you do need to upgrade the suspension, but is easy enough. Personally I've never scraped the frame, the floorboards act like curb feelers; when they scrape I know I have plenty of room left before I touch down the hard parts... They have replaceable skid-plates for a reason. All the bikes you mentioned are good. With the longer wheelbase, the Roadliner/Stratoliner are more on the comfort and overall grunt side. As mentioned, the Raider is definitely worth checking out. Good luck with whatever you choose and be sure et us know which way you go. Last edited by Doc_V; 10-12-2018, 11:37 PM. I would have to go with a Warrior for some "Sport Cruising". from Northwest Illinois. Post often and ride safe!! !